Hey fellow Fat fans. 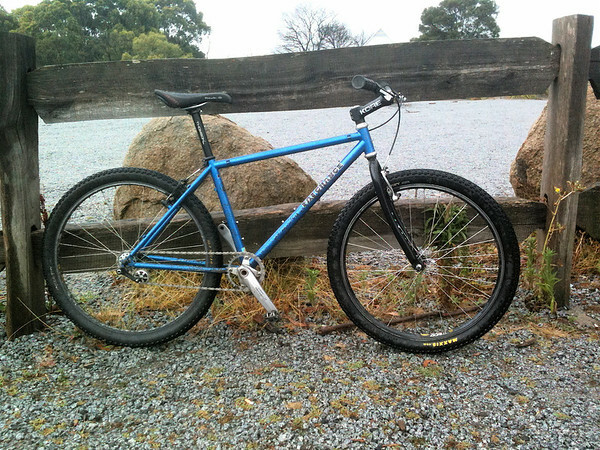 Here's a couple of pics of my re-re-renovated Bro after a couple of muddy laps of Lysterfield Lake here in Victoria. 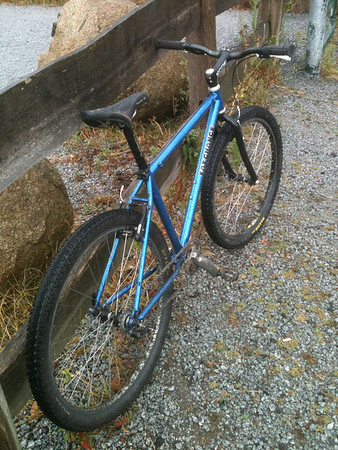 Now a full-stiffy singlespeed via some Surly parts. Full history in the Frame registry thread. Just an update. Still diggin' the SS conversion. I've settled on a 32:18 ratio, which covers 50km gravel grinders and singletrack for me. I've ditched the Surly Singleator (quite possibly the ****tiest piece of hardware I've encountered in the MTB world) for a completely new rear wheel with a White Eno Eccentric hub and Mavic XM17 rim. It's basically worlds better and suits the kwality of the Fat well. Tyre choice on the rigid SS is probably more critical than ever and I'm trying a pair of baggier Schwalbe Racing Ralphs currently (26x2.35"). Hi Dan I am not a huge fan of SS conversions but that looks cool White Industries make the coolest hubs so if you are going to do it the undo hub works great their single speed rear cogs sound cool too. I just built a set of wheels for my Buckshaver rebuild last weekend using one of their front hubs. is that am 11/8 headtube on a Fat Chance?? I think all of the Fats after 96' had 1 1/8" steerers. My 97' Yo does.